Do I delete them all or leave them? They’re not showing up in build/buy mode and when I select them with the hand tool the thumbnail shows the normal white swamp grass. This really is a beautifully made world and I can’t wait to get back into it – bye bye! Not sure hon it might be one of the new colorable plants which came with one of the latest store sets. Thanks Terry 🙂 I don’t think so though because I can’t recolour it and I don’t think it would show up unless I had already bought the item from the store? I would see what happens in the game, if there is no problem leave it. If there is a problem take it out. If you do not have any cc and this is the only one than you know what’s causing it. In mine it would take 3 days to go through all the cc to try to find it. Good luck! I like the plant and I am in the process of checking out that world for download maybe. I just downloaded this the other day. I have been trying to place a dive Spot in the world but whatever i do it still makes the Sims swim slightly above water. A bit late to the party, I know, but I think that she just recoloured the basegame plant, i.e. it is not a separate object. Fagersim did something similar with the underwater plants in her Enekjaer and tea_and_blues’ (kiwi_tea’s) Riverblossom Hills has recoloured rabbithole buildings with custom paintings, too. It must be something that can be done in CAW, but I don’t know anything in addition to that. Snapdragon – how lovely to see you 🙂 It’s definitely a recolour as it doesn’t show up as a separate object. I’ve no idea how it’s done and as far as I’m aware can’t be done in CAW but I’ll look into it. 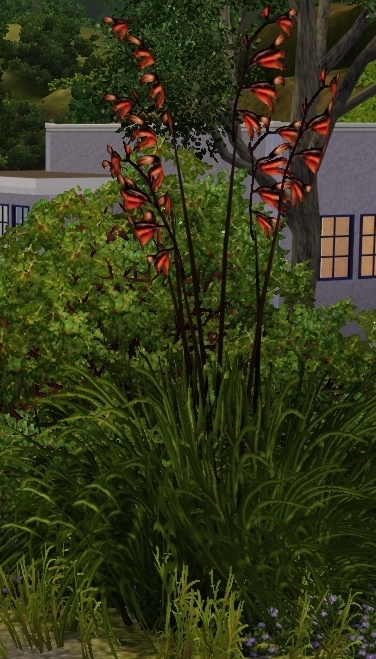 If I select the plant in build/buy mode the thumbnail picture is of the normal white pampas grass.